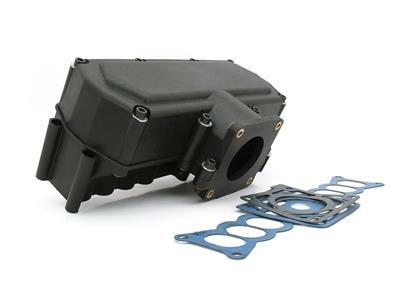 Replace the stock lower intake manifold of your Ford 5.0L engine with our lightweight polymer unit and gain an average of 20 horsepower and an additional 300 rpm. With a weight saving of 16 lbs., this manifold is designed to deliver optimum horsepower potential without robbing your engine of torque and efficiency. The kit comes complete with all gaskets, vacuum fittings, bolts, hex key wrench, silicone sealant, instructions and an installation video.